AT Power is a manufacturer of throttle bodies with extra-slim patented shafts. 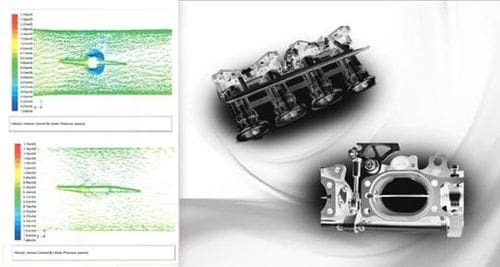 This technology is based on the use of a thin and very thin throttle shaft with stylized profiles that allow a flow of up to 10% with respect to the standard throttle bodies. The components are manufactured in their own facilities, each kit is assembled by hand with the strictest quality control. They are the suppliers of the formula Ford, BTCC championship preparers, WRC and many more prestigious companies in the world of Motorsport.